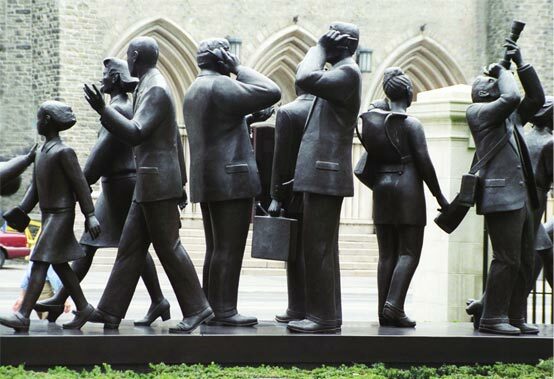 “Community” is a spectacular bronze sculpture consisting of 21 life-size figures, standing proudly on the grounds of Manulife Financial’s Head Office in Toronto. Completed in June 2001. “Community” is a comptemporary representation that uniquely reflects Manulife’s diversity and international operations. 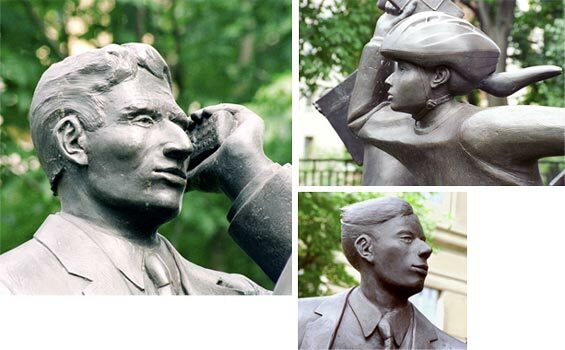 The sculpture measures 2 metres high and is more than 8 metres in length. This is the sculpture that is depicted in the movie on the home page showing the transformation between Kirk’s sketch a completed project.